The beginning of the culmination of the 18-film saga of the Marvel Cinematic Universe, Avengers: Infinity War, hasn’t been in theaters for two weeks yet, but it has already broken box office records in spades. 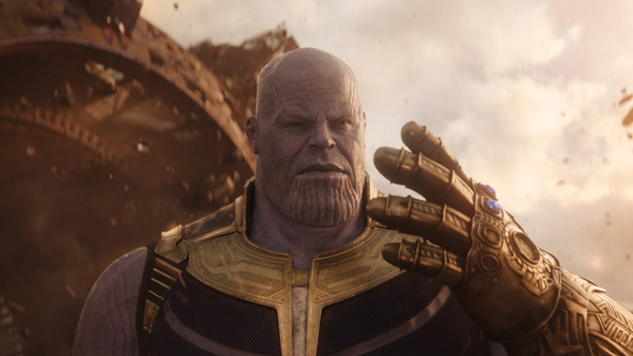 Not content with owning the largest opening weekend in cinematic history, Avengers: Infinity War became the fastest film ever to top $1 billion in box office revenue on Saturday, 11 days after its release. At the end of the weekend, the film’s earnings stood at just under $1.2 billion, a close second to Marvel’s top earner of 2018 thus far, Black Panther. That status won’t last much longer, though, as that Avengers: Infinity War total is set to further skyrocket when the film releases in China on May 11. Infinity War’s speed to the accomplishment is hardly surprising. Outside of the ten-year build that created something previously unseen in the cinematic world, the film itself topped the entirety of Justice League’s box office total in less than a week. Never more has the phrase “checkmate” been more applicable in the great comics war. At this point, there is little doubt that the film will go on to top the first Avengers film as the top-grossing film in the MCU, but there is a legitimate chance for Infinity War to become the fourth film ever to top $2 billion once it’s released to Chinese audiences. The last film to hit that mark was Star Wars: The Force Awakens. Whether Infinity War reaches those heights, it has proven the theory behind the construction of the MCU correct, and has set up a thrilling and emotional story of conclusion and renewal when Avengers 4 hits theaters next year.